The Ho Chi Minh City Department of Transport yesterday said that Deputy Chairman of the Ho Chi Minh City People’s Committee Tran Vinh Tuyen had selected Construction and Investment Project Management Board of Ho Chi Minh City as the new investor of traffic project of Nguyen Van Linh - Nguyen Huu Tho Intersection and the third phase of Rach Dia Bridge. The People’s Committee of Ho Chi Minh city also appointed the Compensation and Site Clearance Management Board of District 7 as the investor in the compensation and site clearance period of the project. The Deputy Chairman also asked the change has to ensure requirements of regulations, effectiveness, schedule and quality of project. 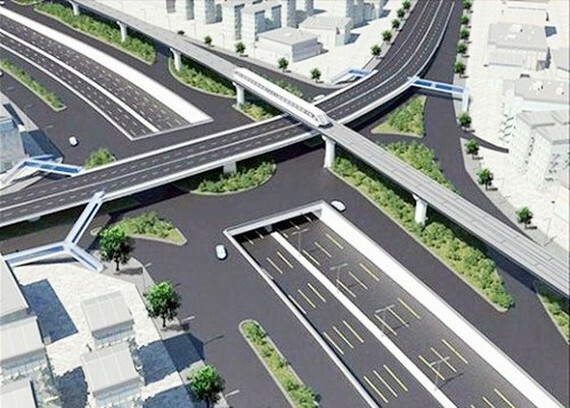 The three- floor undergrounding tunnel project at Nguyen Van Linh- Nguyen Huu Tho Intersection is designed like 60-meter-diameter central circular island, and two tunnels on Nguyen Van Linh Street spreading around 480 meters long Nguyen Van Linh- Nguyen Huu Tho Intersection in the first phase. The tunnels are designed to take three lanes for vehicles with a width of 13.75 meters, and allow a maximum speed of 60 kilometers an hour. The first phase of project was carried out in period of 2016- 2017 whereas two more overpasses and two tunnels are expected to start in the later phase, with total investment of about VND 1,780 billion (US$ 76.7 million). After completion, the project will solve traffic congestion, connect the city with the Southern gateways. Previously, the Ho Chi Minh City People’s Committee assigned Tan Thuan Industrial Promotion Corporation to work with Phu My Hung Corporation about construction of Nguyen Van Linh - Nguyen Huu Tho Intersection under the BT contract. 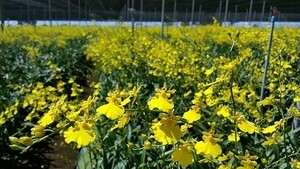 The investor will be repaid capital on an area of 240 hectares in Phuoc Kieng Commune of Nha Be District.